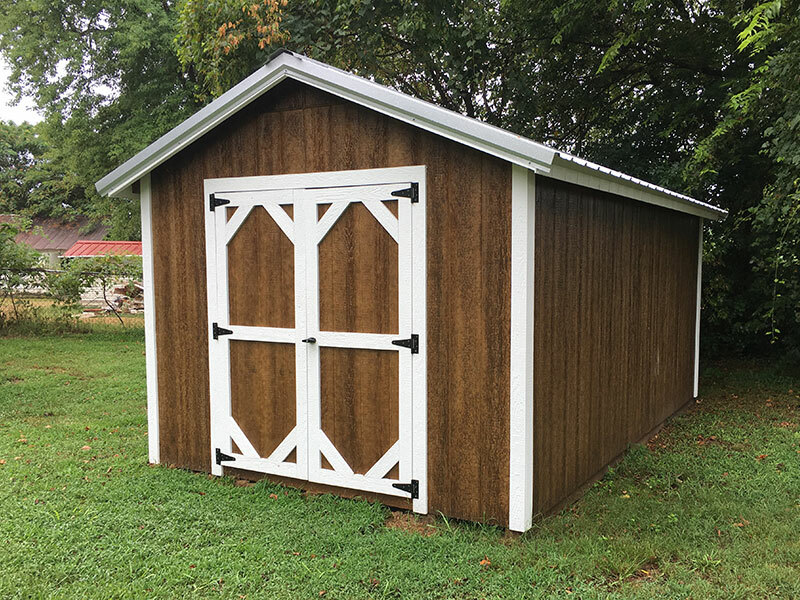 The A-Frame wood sheds are a testament to the fact that well-built sheds can also be beautiful. 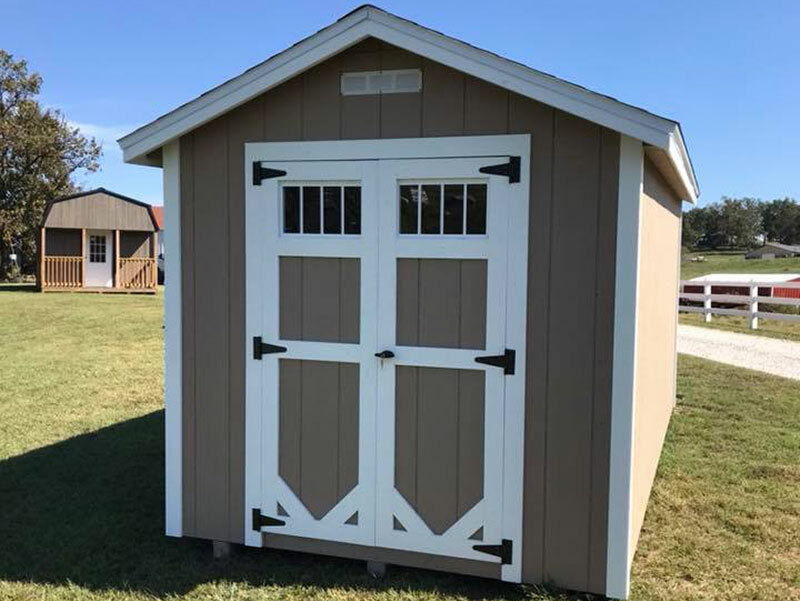 Even though they have a common storage shed style A-frame roof, we make sure that they are not just common sheds. The colored wood trim on these buildings adds some jazz to the exterior. Of course, we still build these to our high-quality standards with the best materials, including premium grade lumber and 7/16” LP© SmartSide© Wood Paneling. 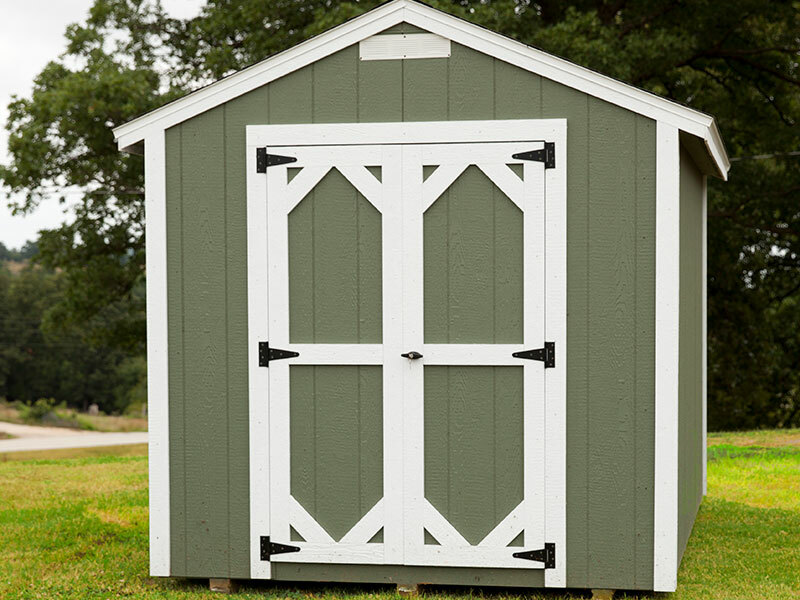 The A-Frame wood shed comes standard with one set of doors and one window. 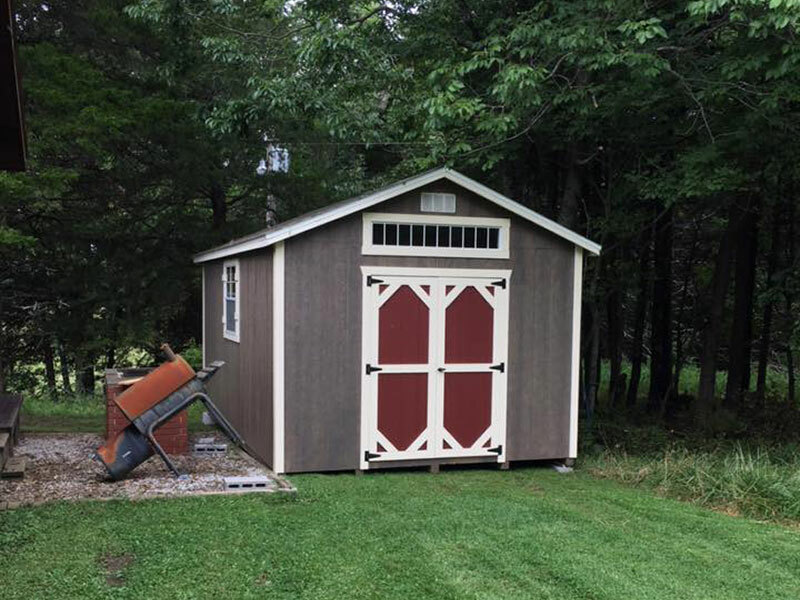 Have An A-Frame Wood Shed Delivered To You For As Low As $1,799. 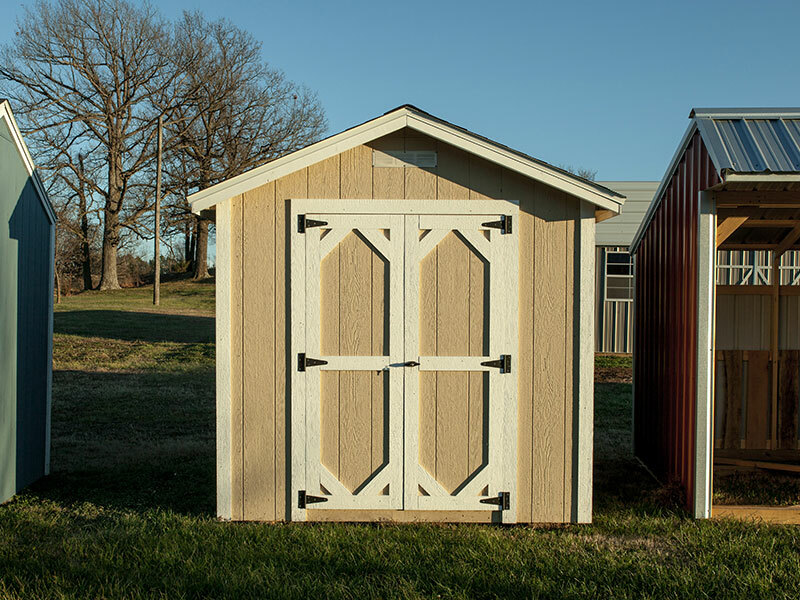 Wood Sheds: The Next Family Heirloom? 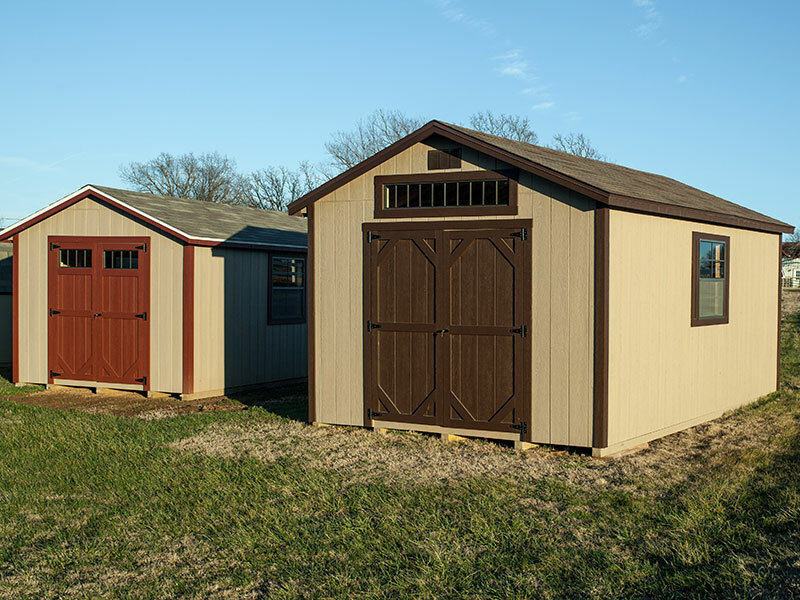 We don’t build these sheds just for short-term storage solutions – we build them to last. A wood shed from Crestwood might be the next family heirloom. Don’t settle for anything less than quality. 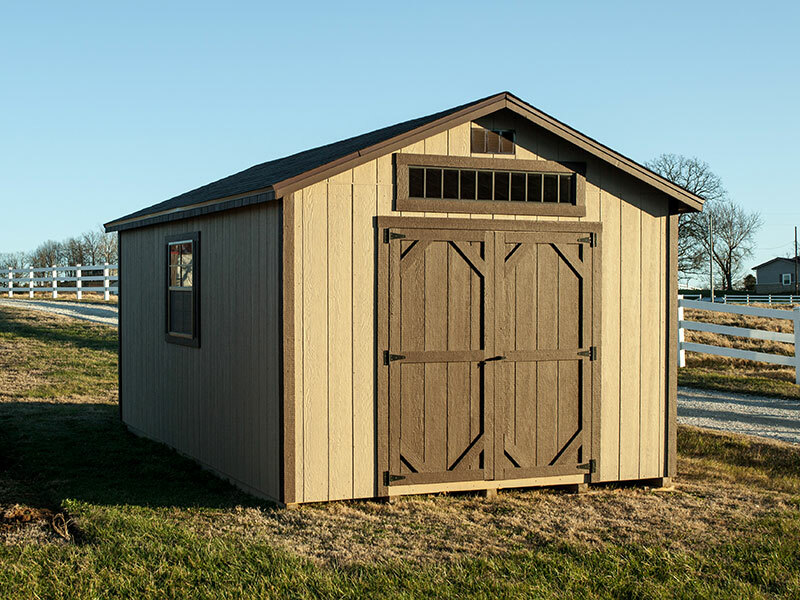 And since your wood shed will be around so long, we give you the option to customize it like you want.